Goblin Slayer, Spearman, and Heavy Warrior received a dangerous quest to bring the fight to the Demon's Castle. As they steel themselves for the challenge that lies ahead, Cow Girl and Priestess have a casual day out on the town. High Elf Archer tells a story about how she, Dwarf Shaman, and Lizard Priest came together, overcoming racial grudges to become close party members. 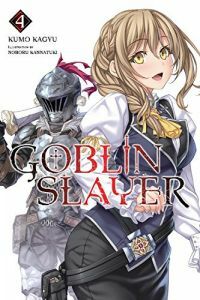 Other products for "Goblin Slayer" in "Books"
Other products for "Goblin Slayer" in "Figures"